Let your merciful ears, O Lord, be open to the prayers of your humble servants; and that they may obtain their petitions make them to ask such things as shall please you; through Jesus Christ your Son our Lord, who is alive and reigns with you, in the unity of the Holy Spirit, one God, now and for ever. Amen. If you, Lord, were to mark what is done amiss, *O Lord, who could stand? But there is forgiveness with you, *so that you shall be feared. I wait for the Lord; my soul waits for him; *in his word is my hope. My soul waits for the Lord, more than the night watch for the morning, *more than the night watch for the morning. Putting away falsehood, let all of us speak the truth to our neighbours, for we are members of one another. Be angry but do not sin; do not let the sun go down on your anger, and do not make room for the devil. Thieves must give up stealing; rather let them labour and work honestly with their own hands, so as to have something to share with the needy. Let no evil talk come out of your mouths, but only what is useful for building up, as there is need, so that your words may give grace to those who hear. And do not grieve the Holy Spirit of God, with which you were marked with a seal for the day of redemption. Put away from you all bitterness and wrath and anger and wrangling and slander, together with all malice, and be kind to one another, tender-hearted, forgiving one another, as God in Christ has forgiven you. Therefore be imitators of God, as beloved children, and live in love, as Christ loved us and gave himself up for us, a fragrant offering and sacrifice to God. Lord, we thank you for being a part of our lives in every moment of our day, not just at Sunday worship. In manifesting yourself through the very bread that we eat, you are with us in all the ordinariness of our lives. And through your presence in the everyday, the ordinary becomes charged with your grace. When we share the living bread at the altar, may we remember that we are also members one of another, working as your Church for the coming of your kingdom here on earth. Lord, you have created this wonderful world, and filled it with your abundant gifts. But we have exploited it for our own ends, and with little thought for future generations. Lord, help us now to work together as good stewards of this earth and its creatures that we may yet save it with good husbandry and your grace. Lord, as the tide draws the waters close in upon the shore, make each of us an island, set apart with you, alone with you and holy to you. Leave us each alone with you as often, and for as long, as may be. And then, as the waters recede with the turning of the tide, prepare us to carry your presence out into the busy world beyond, the world that rushes in on us, until once more the waters return and fold us back into you. 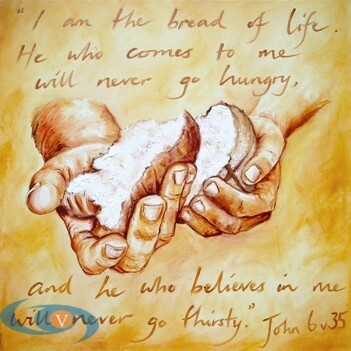 Lord, we remember before you all those for whom finding even daily bread to eat is a constant struggle. We pray for those who have been displaced by war, with their homes and communities destroyed and, with them, their way of life. We pray for those who set out into uncharted waters in the hope of finding a better future for themselves and their families. We pray for all those who suffer. Lord, according to your promise, grant eternal life to those who have died in the faith of Christ. ..As they were strengthened by the bread of life in this world, grant them everlasting presence in your heavenly kingdom. First, a little bleat aimed at the Liturgical Commission: There are 150 psalms to choose from, that is almost one for every week of the three year cycle. That being the case, why do we have Psalm 130 – out of the depths – again for the 10th Sunday after Trinity when we had it only six weeks ago, for the 4th Sunday after Trinity on 28 June 2015? And also on 6 April 2014, Year A, on the 5th Sunday of Lent. The first is the sermon on the bread of life for last Sunday on the blog of the Beaker Folk of Hursborne Crawley. I urge you to read the whole blog post, as I cannot condense it into one prayer. 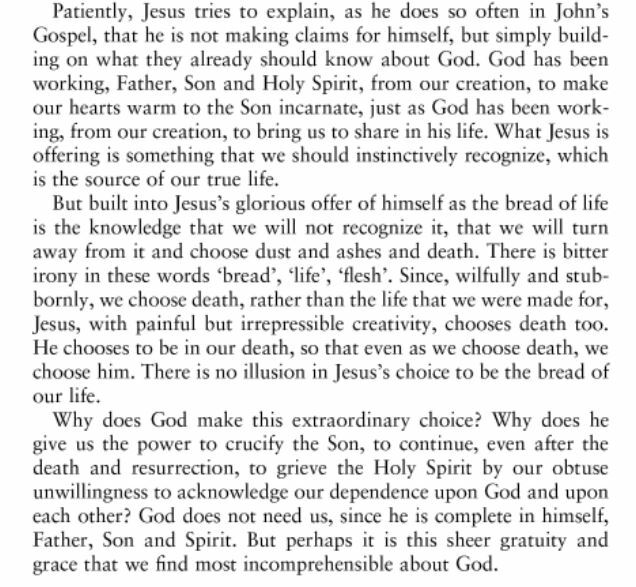 In essence, he is pointing out that bread was the most ordinary thing in the world in 1st century Judea, the basic, staple, everyday diet, very restricted in its scope compared to ours. The second is the prayer under the heading ‘local community’, which I have based on the prayer attributed to St Aidan, quoted by Taylor Carey in his article on this blog yesterday. It represents an eternal truth, that we cannot give of ourselves to our community without spending time alone with God in prayer: in order to be outward-looking, we need also to spend time in contemplation. Thank you for these intercessions. They have been so helpful to me. So many positive responses and thanks when I base my Sunday morning intercessions on your excellent work.